The Kershaw Skyline 1760 knife has a Sandvik 13C26 stainless-steel, stone-washed blade measuring just over three inches. The handle fits in the hand perfectly and is made from textured black G-10 which has a very secure feel. The knife can be easily opened with the thumb or index finger of either hand. 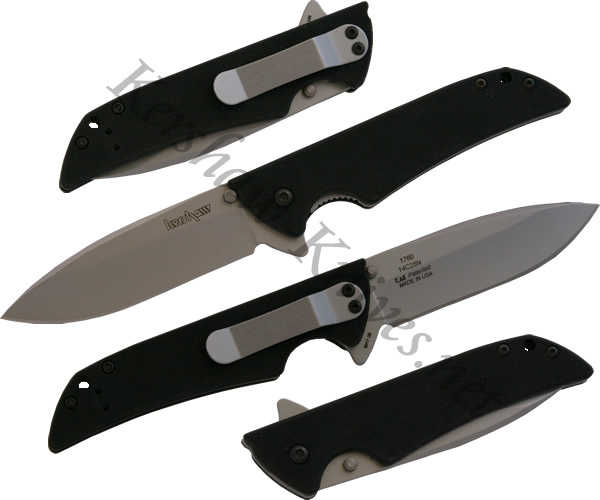 The knife also comes complete with a reversible metal pocket clip. This Kershaw knife is 4.25 inches long when closed and weighs in at 2.3 oz.